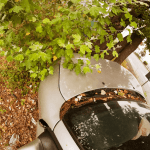 Hi, I’m Ed Smith, a Sacramento personal injury lawyer. Every year, kids of different ages latch on to new toys and products and begin playing constantly with them. Toy fads have been around forever, especially when you count Radio Flyer wagons, “banana seat” bikes, the “slinky,” silly putty – and all other “coming-of-age” items kids like to use or hide in their backpacks before heading off to school. 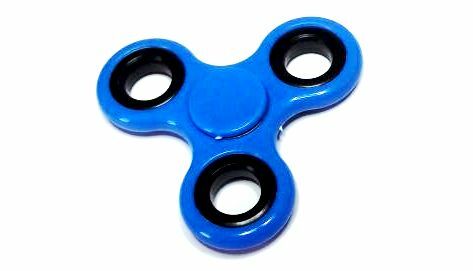 Yet the “fidget spinner” may be uniquely dangerous since at least one Texas mother has told reporters that her daughter nearly choked on the loose parts of her spinner device. If you haven’t heard of these small gadgets, chances are you don’t have any small children visiting your home very often. However, many adults recently saw a gag version of a spinner on “Saturday Night Live.” The toy was parodied as a great gift (covered with diamonds) for a boring date. Just a quick search on the Internet turns up images of fidget spinners – they’re small and loosely shaped like triangles. Once you push down on the center of the device, it starts spinning long enough to distract any kid being asked to read aloud in class – conjugate different verb tenses or memorize multiplication tables. Do Many Other Children’s Toys and Other Products Pose Choking Hazards? Fidget spinners certainly aren’t the only products that currently pose a choking risk to children. When you visit the Safe Kids Worldwide and U. S. Consumer Product and Safety Commission (CPSC) websites, you’ll see frequent warnings to parents, teachers, and other caregivers to watch out for toys (and clothing) that feature loose parts. Depending on the degree of danger and the number of accident reports received, the CPSC will often work with product manufacturers – and urge them to issue voluntarily recalls of their products that pose serious choking hazards (and other risks) to children. For example, “button” batteries now used to power many toys, watches, TV remotes and household products can pose major choking threats to children. They have been the subject of several articles on Safe Kids Worldwide and other websites. Likewise, many clothing items manufactured for kids sometimes feature thick sequins and buttons that can fall off and pose choking hazards. In fact, a vast array of plastic and other toy products have removeable – or simply breakable – parts that can make them much too dangerous for small children. Parents should always carefully examine any toy or product to see if its parts can easily be disassembled before letting a child play with it. While driving down a street, this woman had the terrible experience of hearing her child start choking on something in the back seat of her car. Although she quickly pulled over and tried to administer the Heimlich maneuver, it failed to dislodge the object. 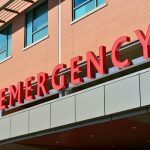 Upon reaching a hospital, a doctor managed to locate, dislodge, and remove the spinner part stuck in the young child’s throat. The purpose of this article and the above video is to make parents aware of the potential danger posed by this gadget. 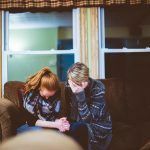 One thing we can do right away to ensure the safety of our kids or other young adults in our lives who might be playing with this toy is to supervise them at all times and let them know that there is a very real danger of a choking accident. Some parents may even decide to remove the gadget from their children’s toy chest. Hello, I’m Ed Smith and I am a Sacramento personal injury lawyer. If you, or someone you love, has been injured due to an unsafe product, call me, Ed, at (916) 921-6400 for free, friendly advice. When calling outside of the (916) area, feel free to utilize my toll free number at (800) 404-5400. Read our client ratings on: Google, Yelp and Avvo (the service that ranks attorneys). I am a California attorney in the Million Dollar Forum. The forum is made up of top-ranking trial and injury attorneys in the country. Forum advocates have won case verdicts worth in excess of $1 Million. 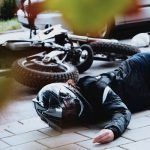 I am the founder of the California personal injury website, AutoAccident.com.